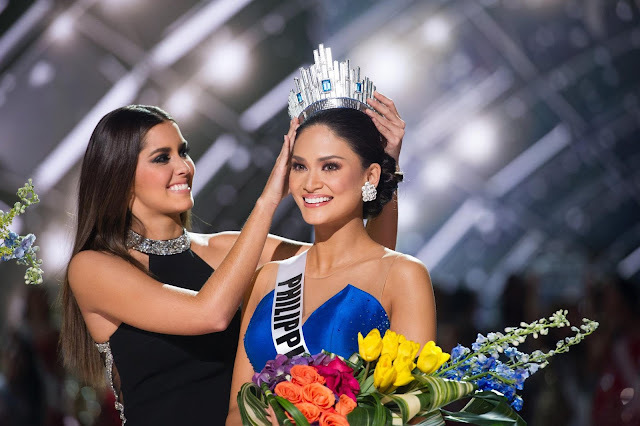 PARADISE, Nevada, United States - Pia Alonzo Wurtzbach (26; 1.73m; Cagayan de Oro, PHILIPPINES) was crowned Miss Universe 2015 at the conclusion of the 64th Miss Universe finals held at The AXIS at Planet Hollywood in Paradise, Nevada, United States on December 20. Ariadna María Gutiérrez Arévalo (Colombia) was the first runner-up and Olivia Jordan Thomas (United States) was the second runner-up. Monika Radulovic (Australia) and Flora Coquerel (France) completed the top five. During the announcement of the final results, the host mistakenly announced Colombia as the winner. Kanisha Sluis (Curaçao), Clarissa María Molina Contreras (Dominican Republic), Ariana Miyamoto (Japan), Aniporn Chalermburanawong (Thailand) and Mariana Coromoto Jiménez Martínez (Venezuela) were the top ten semifinalists. Annelies Törös (Belgium), Marthina Brandt (Brazil), Anindya Kusuma Putri (Indonesia), Wendolly Esparza Delgadillo (Mexico) and Refilwe Mthimunye (South Africa) were the top fifteen quarterfinalists. Aniporn Chalermburanawong (Thailand) won the Best National Costume award and Whitney Houston de Abreu Shikongo (Angola) won Miss Congeniality. 80 contestants competed for the crown. The returning nations were Cayman Islands (2012), Denmark (2013), Montenegro (2012) and Vietnam (2013). The nations that competed in 2014 but not in 2015 were Egypt, Ethiopia, Guam, Kazakhstan, Kenya, Lithuania, Slovenia, Sri Lanka, Saint Lucia, Switzerland, Trinidad and Tobago, and Turks and Caicos. LILLE, France - Iris Mittenaere (22) was crowned Miss France 2016 at the Zenith de Lille on December 19. She will represent France in Miss World 2016 and/or Miss Universe 2016. Morgane Edvige was the first runner-up and Vaimiti Teiefitu was the second runner-up. 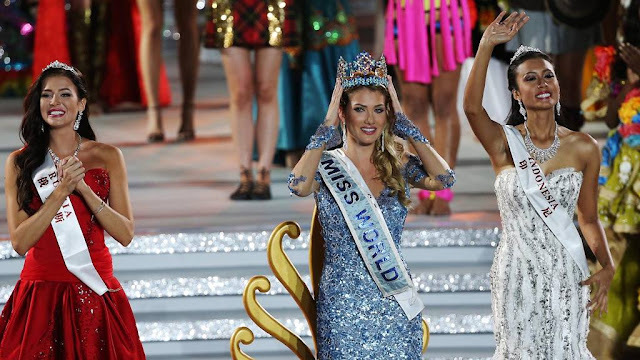 SANYA, Hainan, China - Mireia Lalaguna Royo (23; 1.77m; Barcelona, SPAIN) was crowned Miss World 2015 at the conclusion of the 65th Miss World finals held at the Beauty Crown Hotel Complex in Sanya, Hainan, China on December 19. Sofiya Victorovna Nikitchuk (Russia) was the first runner-up and Maria Harfanti (Indonesia) was the second runner-up. Sanneta Myrie (Jamaica) and Valerie Abou Chacra (Lebanon) completed the top five. Tess Louise Jorgensen Smith (Australia), Hinarere Taputu (France), Lisa Punch Daniels (Guyana), Hillarie Danielle Ang Parungao (Philippines), Liesl Laurie (South Africa) and Trần Ngọc Lan Khuê (Vietnam) were the top eleven semifinalists. 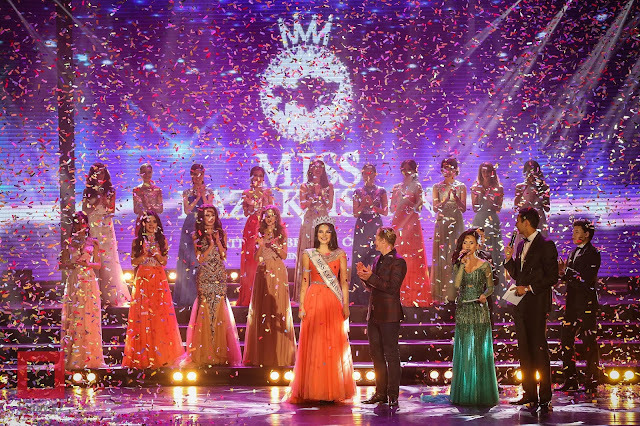 Vietnam advanced to the top eleven via the Miss World People's Choice popular vote. Catharina Choi Nunes (Brazil), Yuan Lu (China), María Camila Marañon Solórzano (Ecuador), Regina Vandysheva (Kazakhstan), Margot Hanenkamp (Netherlands), Deborah Rose Lambie (New Zealand), Leanne McDowell (Northern Ireland), Marta Pałucka (Poland), Mhairi Fergusson (Scotland) and Ajaa Kiir Monchol (South Sudan) completed the top 21 quarter-finalists. Miss World Americas 2015 is Catharina Choi Nunes (Brazil), Miss World Caribbean 2015 is Sanneta Myrie (Jamaica), Miss World Africa 2015 is Liesl Laurie (South Africa), Miss World Europe 2015 is Mireia Lalaguna Royo (Spain), Miss World Oceania 2015 is Tess Louise Jorgensen Smith (Australia) and Miss World Asia 2015 is Maria Harfanti (Indonesia). Miss World Top Model 2015 is Mireia Lalaguna Royo (Spain), Miss World Talent 2015 is Lisa Punch Daniels (Guyana), Miss World Multimedia 2015 is Hillarie Danielle Ang Parungao (Philippines), Miss World People's Choice 2015 is Trần Ngọc Lan Khuê (Vietnam) and Miss World Beauty with a Purpose 2015 is Maria Harfanti (Indonesia). In the pre-judging portion or preliminary competition held before the finals, Lebanon finished in first place with 425 points and South Africa finished second with 422 points. Russia finished in third place with 420 points. France finished fourth with 410 points. Jamaica finished fifth with 400 points. Netherlands and Northern Ireland tied for sixth place with 395 points. Indonesia finished seventh with 390 points. Philippines finished eighth with 388 points. Nigeria finished ninth with 387 points. Spain finished tenth with 384 points. Poland and Scotland tied for eleventh place with 383 points. Iceland finished twelfth with 380 points. Bosnia and Herzegovina, China and Kazakhstan tied for thirteenth place with 378 points. Brazil finished fourteenth with 375 points. Georgia finished fifteenth with 372 points and Ecuador finished sixteenth with 370 points. 114 nations competed for the crown. No nation debuted this year. 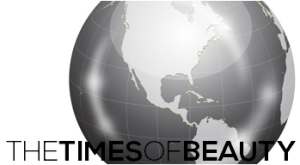 The returning nations were Botswana, Bulgaria, Chile, Honduras, Kazakhstan, Macedonia, Samoa, Saint Kitts and Nevis, and Zambia. All last competed in 2013. The nations that competed in 2014 but not in 2015 were Barbados, Belarus, Canada, Chad, Egypt, Equatorial Guinea, Ghana, Greece, Hong Kong, Israel, Kosovo, Lithuania, Luxembourg, Martinique, São Tomé and Principe, and Switzerland. 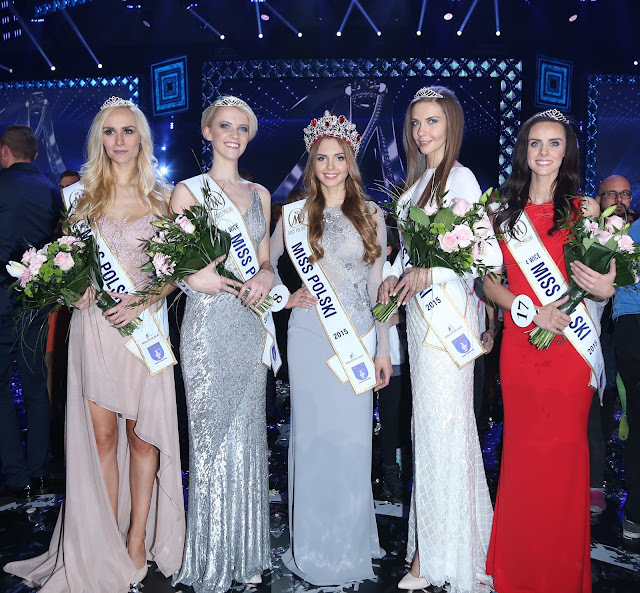 Top 24: Australia – Tess Alexander; Bermuda – Alyssa Rose; Botswana – Seneo Mabengano; Curaçao – Alexandra Krijger; Czech Republic – Andrea Kalousová; Denmark – Jessica Hvirvelkær; Dominican Republic – Cynthia Núñez; Fiji – Brittany Hazelman; France – Hinarere Taputu; Ethiopia – Kisanet Teklehaimanot; Kenya – Cherry Mwangi; New Zealand – Deborah Lambie; Nicaragua – Stefanía Alemán; Norway – Fay Teresa Vålbekk; Serbia – Marija Ćetković; Scotland – Mhairi Fergusson; South Africa – Liesl Laurie; Spain – Mireia Lalaguna; Turkey – Ecem Çirpan. 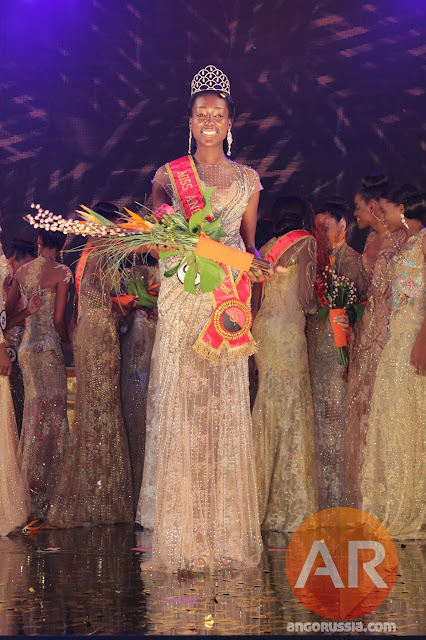 LUANDA, Angola - Luísa Baptista (20) was crowned Miss Angola Universe 2016 at the Bellas Conference Center in Luanda on December 12 She will represent Angola in Miss Universe 2016. Victoria Mande and Raquel Gomes finished in second and third place, respectively. ASTANA, Kazakhstan - Alia Mergenbaeva (17) was crowned Miss Kazakhstan 2015 at the Palace of Peace and Reconciliation in Astana on December 9. She will represent Kazakhstan in Miss World 2016. Veronica Zalata and Renata Nurgazina finished in second and third place, respectively. 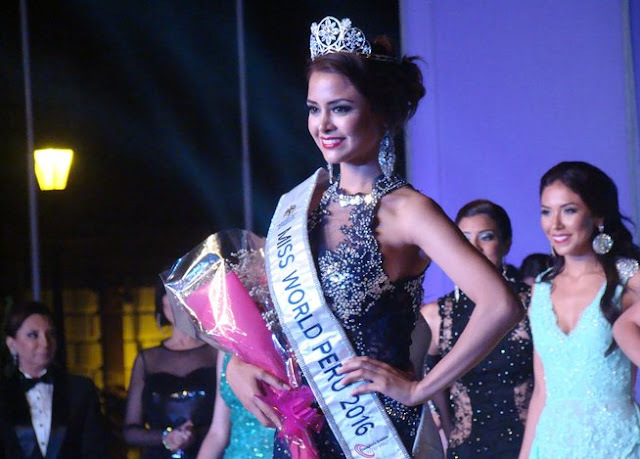 TRUJILLO, Peru - Pierina Wong Mori (23) was crowned Miss World Peru 2016 at the Plaza de Armas of Trujillo on December 6. She will represent Peru in Miss World 2016. Silvana Vásquez and Tatiana Castro finished in second and third place, respectively. KRYNICA-ZDROJ, Poland - Stephania Sofía Vázquez Stegman (23; Asuncion, PARAGUAY) was crowned Miss Supranational 2015 at the conclusion of the 7th Miss Supranational finals held at the Municipal Sports and Recreation Hall in Krynica-Zdrój, Poland on December 4. The first runner-up was Siera Bearchell (Canada) and the second runner-up was Mónica Castaño Agudelo (Colombia). Tanja Ýr Ástþórsdóttir (Iceland) was the third runner-up and Karina Stephania Martín Jiménez (Mexico) was the fourth runner-up. Christiana Fischer (Australia), Aafreen Rachel Vaz (India), Tanisha Kaur Harjit Singh (Malaysia), Angie Keith (Panama) and Petra Denkova (Slovakia) were the top ten semi-finalists. Rachel Nimegeers (Belgium), Tat'ana Makarenko (Czech Republic), Regina Lee Harding (Jamaica), Mieko Takeuchi (Japan), Margaret Muchemi (Kenya), L Bawk Nu (Myanmar), Rogelie Ardosa Catacutan (Philippines), Ada Sztajerowska (Poland), Sonia Gisa (Rwanda) and Kelly Kirstein (United States) were the top twenty quarter-finalists. 82 contestants competed for the prestigious title. 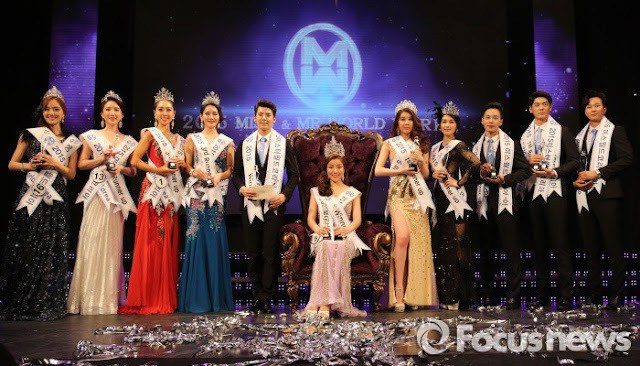 DAEGWALLYEONG-MYEON, Republic of Korea - Wang Hyeon (20) was crowned Miss World Korea 2015 at the Alpensia Concert Hall in Daegwallyeong-myeon on November 22. She will represent Korea in Miss World 2016. Jeni Gim was the first runner-up and Ye-lim Baeg was the second runner-up. Seung-Jun Im (27) won the Mr World Korea 2015 title and will represent Korea in the next edition of Mr World.